Ariel Vanegas was lucky enough to have been born in a hospital in Quito Ecuador in 2005 while a visiting pediatric cardiologist was lecturing on congenital heart disease. After the lectures, Dr. Kenneth Zahka of University Hospitals Cleveland was asked to look at a couple of children at risk. Knowing there were no pediatric heart surgeons in Ecuador, Dr. Zahka recommended tying off an inappropriate artery in little Ariel’s heart hoping to buy him some time. 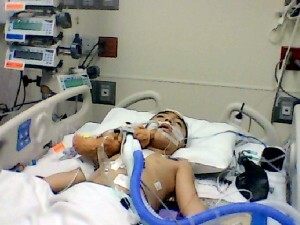 He would need open heart surgery within 2 to 3 years to survive. This gave mom “Cristina” all the time she needed to start the hunt for a surgeon to save her child’s life. Cristina learned of Gift of Life International in New York and they connected her to Rotary District 6630 as their New York surgeon had moved to University Hospitals. PDG Jim Frame, as Chair of Gift of Life NEO, took the call and accepted the challenge. 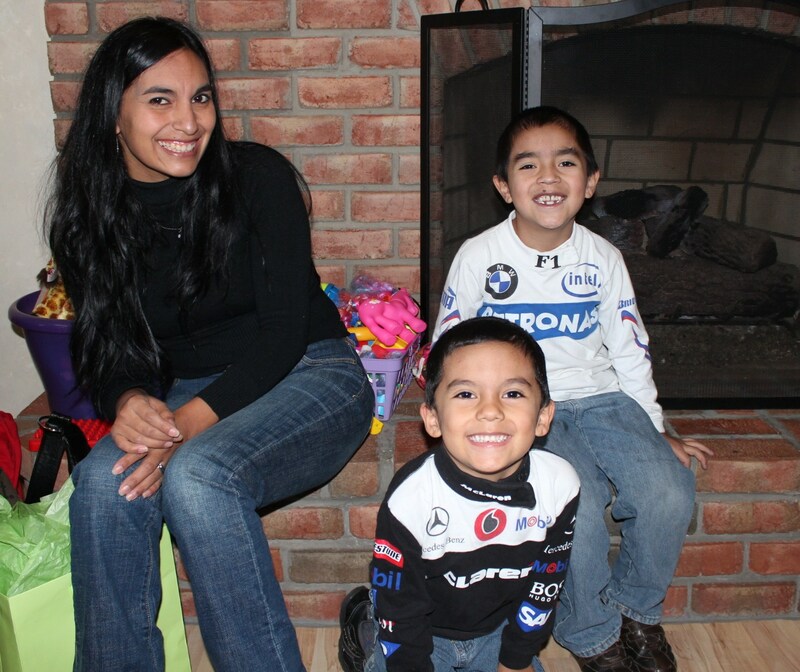 Ariel came to us from Ecuador in August of 2007 for life saving open heart surgery. It was only after the first visit to Rainbow that Cristina recognized Dr. Zahka as the doctor who had already saved Ariel’s life once. Now Dr. Zahka would be able to turn Ariel over to Dr. Hani Hennein, one of the world’s premier Pediatric Heart Surgeons who was Chief at Rainbow Babies and Children and a long time supporter of Gift of Life NEO. In January 2008 Ariel had his open heart surgery at Rainbow Babies and Children’s. During his recovery, Ariel was visited by numerous Rotarians including then Governor Bob Prevette, RI President Frank Devlyn, PDG and Gift of Life NEO founder Jim Frame, PDG Jack Young, and current DG Julie West. It was a complicated surgery. Dr. Hani Hennein, who had performed more than 50 open heart surgeries for Gift of Life children, indicated Ariel’s surgery did not fix all that needed to be done. Ariel would have to grow a little before his final surgery, maybe in 3 to 5 years. Dr. Hennein subsequently left Rainbow’s and unexpectedly passed away 2010. Cristina, like all good moms, never gave up and continued to work with Jim Frame and Gift of Life NEO trying to find an appropriate hospital that would take the risk of Ariel’s complex heart. On Thursday, November 1st Ariel finally had what we hope is his final open heart surgery at Children’s Mercy hospital in Kansas City.